The National Basketball Association (NBA) officially tipped off NBA 3X Philippines 2018 presented by AXA with the first-ever qualifiers in North Luzon at Benguet State University on Aug. 11-12. 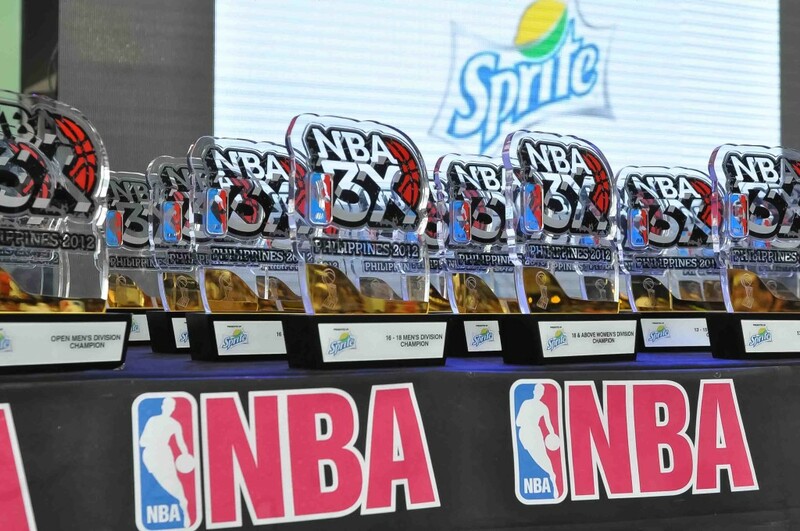 Now on its eighth consecutive year, NBA 3X is staging two preliminary tournaments with the succeeding competition set at the Don Bosco Technical Institute Makati on Aug. 18-19 to provide more male and female players an opportunity to participate in the 3-on-3 tournament. A total of 100 teams from Apayao, Dagupan, Baguio, Benguet and other nearby provinces, including entries from Caloocan City in Metro Manila, competed in the North Luzon qualifiers. Six teams advanced to NBA 3X Playoffs and will compete with teams advancing from the Metro Manila division qualifiers at the Mall of Asia Music Hall on Aug. 25-26. Rieken Espinosa, Dreyxius Castillo, Kyle Patrick Margarata, and Adam Floyd Darden of Team Greyhounds topped the U13 Division, while Jaudenes Parone, Dennis de Vera, Manson Lee Carantes and Francis Almazan of Team SLUA topped the Under-16 division. The other winning teams for the boy’s division were Team Caloocan Supremos C (Under-18) composed of Ryan Ricasio, Raphael Jerhold Flores, Mark Francois Sapla, and Jino Lacsa); and Team UL-Dagupan City A (Open Category) made up of Mario Angelito Torio, Reynald Ballesteros, Robert Caasi Jr. and Julius Tiburcio. In the women’s category, Regimay Castres, Rosemarie Delos Santos, Jane de Vera, and Fionna Kixsha Camangeg of Team Balon Dagupan topped the Under-18 division while Ruthlaine Chlaire Tacula, Raechelle Ann Sao, Ryzelle Ann Limet, and Love Joy Sto. Domingo of Team Pudtol Apayao bested the Open Category. In addition, various media outlets from Baguio City formed teams to compete in the Celebrity Division. 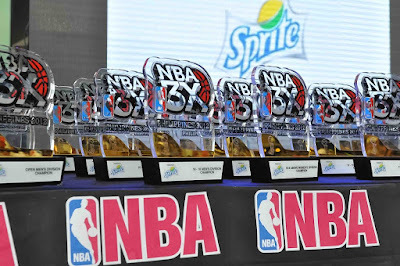 The NBA 3X Playoffs will be highlighted by the presence of an NBA player, NBA legend, slam dunk team, and the Celebrity Division starring entertainment and media personalities as well as contests and activities for the family. AXA Philippines is the presenting partner of NBA 3X Philippines 2018. In addition, CloudFone, Gatorade, Panasonic, Rexona, PLDT and Smart will serve as official partners while SM Mall of Asia an Spalding are supporting partners. Official NBA broadcasters for the event are ABS-CBN S+A, Basketball TV, and NBA Premium TV. For more information on NBA 3X Philippine 2018 and the registration process, fans can visit www.nba3x.com/philippines, Facebook.com/philsnba and @NBA_Philippines on Twitter. The NBA is a global sports and media business built around four professional sports leagues: the National Basketball Association, the Women’s National Basketball Association, the NBA G League and the NBA 2K League that launched in May 2018. The NBA has established a major international presence with games and programming in 215 countries and territories in 50 languages, and merchandise for sale in more than 125,000 stores in 100 countries on six continents. NBA rosters at the start of the 2017-18 season featured 108 international players from a record 42 countries and territories. NBA Digital’s assets include NBA TV, NBA.com, the NBA App and NBA League Pass. The NBA has created one of the largest social media communities in the world, with 1.5 billion likes and followers globally across all league, team, and player platforms. Through NBA Cares, the league addresses important social issues by working with internationally recognized youth-serving organizations that support education, youth and family development, and health-related causes. AXA Philippines is one of the leading and fastest-growing life insurance companies in the Philippines. It was borne out of the formidable synergy between Metrobank, one of the foremost financial institutions in the Philippines, and AXA, a global leader in insurance and asset management serving 105 million customers in 62 countries. At present, AXA Philippines has more than one million lives insured and covered by individual policies and group life insurance. AXA Philippines has more than 4,000 financial advisers in 36 branches and 700 financial executives in over 900 Metrobank and PSBank branches nationwide. In 2016, AXA Philippines entered the non-life insurance business with the acquisition of Charter Ping An, the 5th largest general insurer in the country.